Uno is a small port located about 50 minutes from Okayama Station. There are very few accommodations in Uno making it a difficult place to go and see the Setouchi islands. If you want to stay on Honshu, Okayama is better but Takamatsu is the best place to see the islands. Most of the art is around the station and waterfront. There are a few outlying artworks but most of the art is either in the old town district next to Uno Station or in the large waterfront area. The port used to be a major connector between Shikoku and Honshu with freight trains connecting by ferry in Uno. The waterfront continues to be a large area but the area is only a small shadow of what it used to be. Uno is easy to access from Okayama Station. 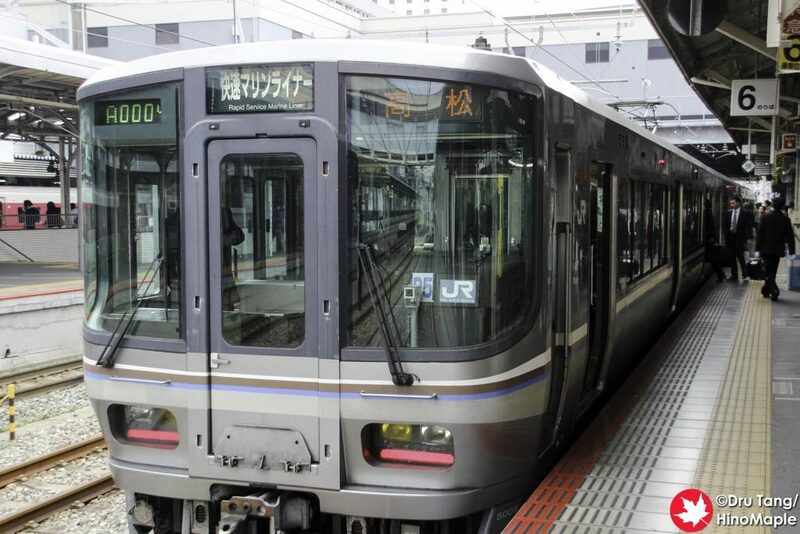 The fastest route is to take the Marine Liner to Chayamachi Station and change to Uno Line bound for Uno. Uno is the last stop. There is also a bus service on the Ryobi Bus Company. It takes slightly longer but there are more services to Uno during the day and it is a direct service. From Takamatsu, there is a direct ferry to Uno. The ferry terminal building is well marked but it is approximately 500 meters east of the central ferry terminal. 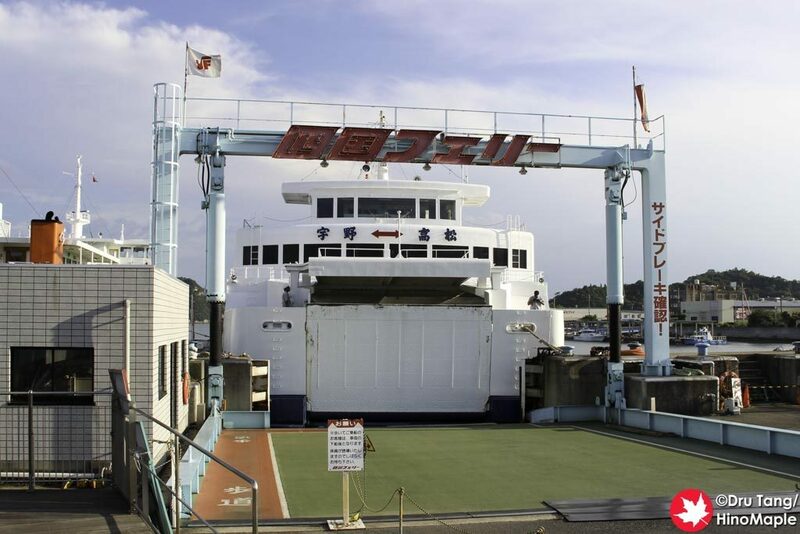 There are several other ferries that connect Uno to Naoshima, Teshima, and Shodoshima. Please refer to those island’s Guide Pages for information on ferries. There are roughly 2 Marine Liner trains every hour from 5:49 till 23:42 that will allow a transfer to Uno. From Uno, the last train to Okayama is at 22:03. All train times are subject to change so please check for precise times. There are several sailings between Uno and Takamatsu. Ferries ply the waters between Uno and Takamatsu from 6:25 till 19:50. There is a short lunch break in the middle of the day. Most of the artwork is between the old town area near Uno Station and the edge of the waterfront. You can easily walk to all of the artworks but cycling is also an option. One of the newest permanent artworks is a 10 minute walk from the port, as is one art exhibit that is roughly 5 minutes west of the station. If you want to see all of the artwork, 2 hours is enough to enjoy everything. If you want to take your time and see everything, you need about 3-4 hours. Uno is small enough that you can walk everywhere. Some of the outlying artwork can be difficult to reach in a timely manner but it isn’t difficult to walk. The old town district is better on foot as there are many things to see every few meters. 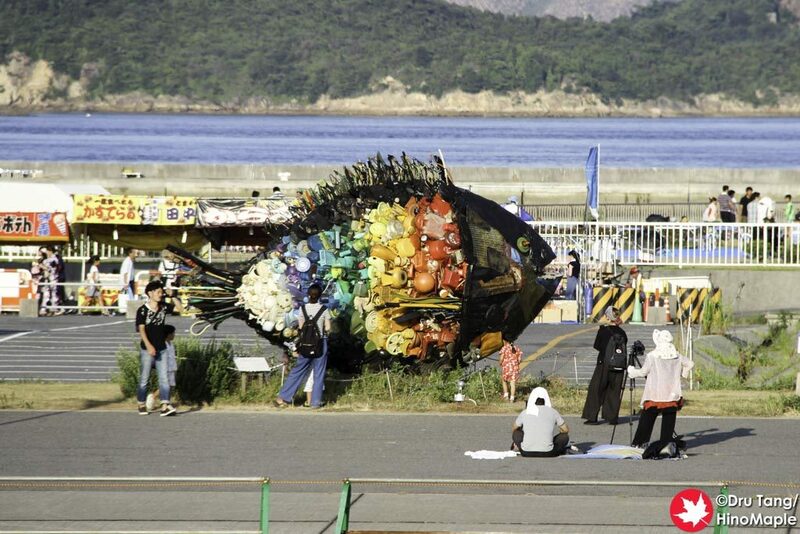 Renting a bicycle is a viable option and it is part of the Setouchi Triennale. 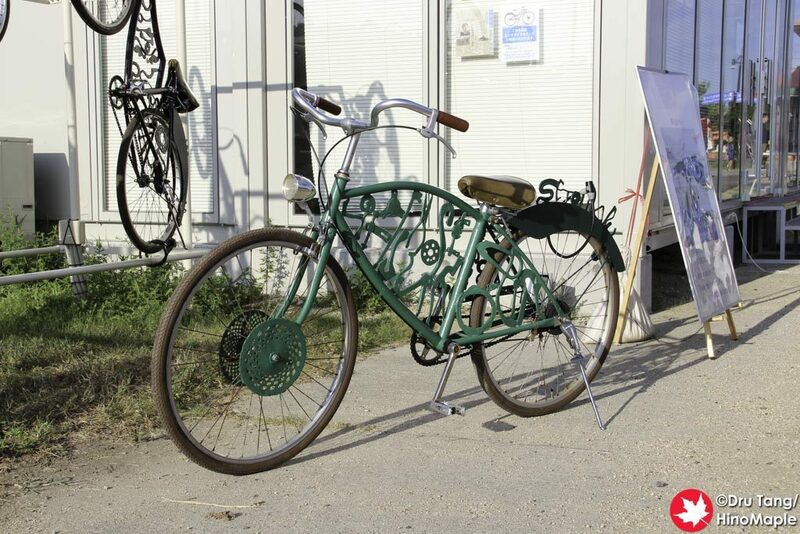 “Beyond the last stop” is an artwork that takes recycled metal to create new bicycles. It is a great way to see Uno in a timely manner while being part of the art as well. These bicycles are unavailable outside of the official Triennale seasons. Regular bicycles can also be rented from Uno Station. There are several options for eating in Uno. Uno is a typical small town of Japan. There are several cafes and small restaurants around the old business district as well as larger shops in the waterfront area. 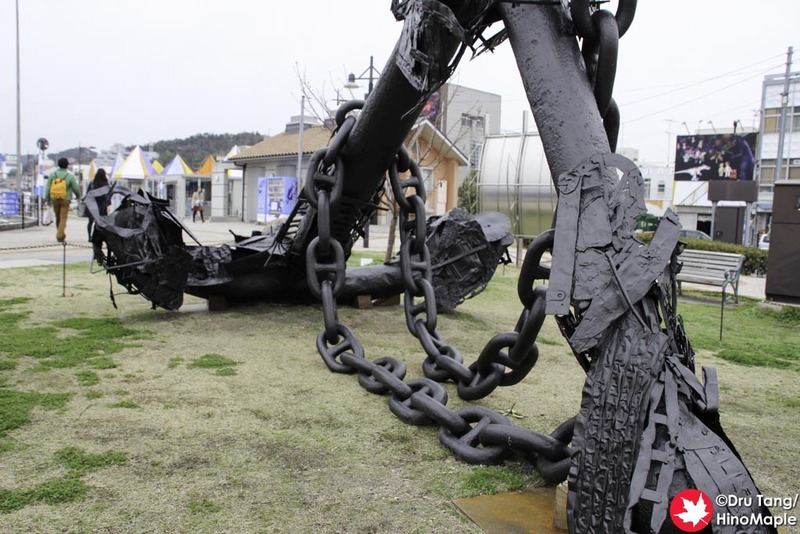 This entry was posted in Setouchi Triennale, Shikoku and tagged japan, Okayama, Setouchi, Setouchi Triennale, Triennale, Uno by Dru. Bookmark the permalink. This is great thank you. Is there a similar one for Naoshima please? And Takamatsu?